They look a little lost under those arches. 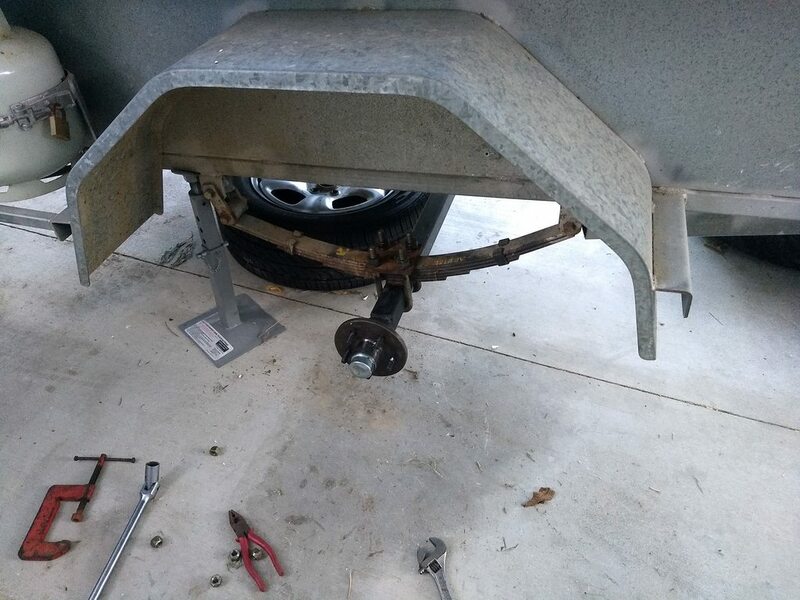 Put a lift on the trailer (moved the axle to below the springs), bringing the trailer pretty much up to level with the car. 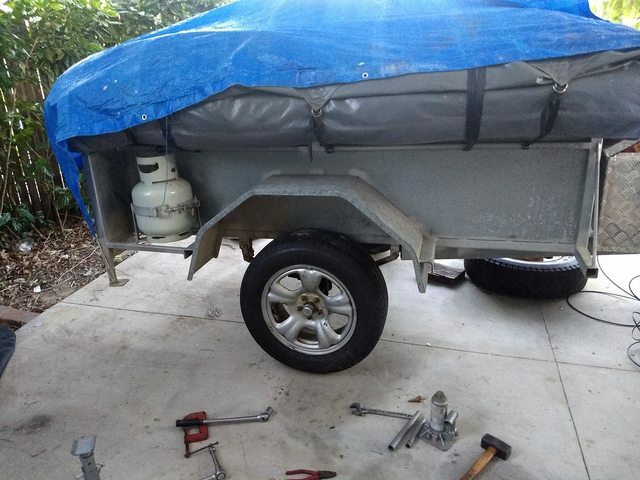 Before I put the lift on the car, the trailer was high compared to the car, since the lift low. And I thought the wheels looked small before! Now the trailer's probably going to be a bit higher if I put larger tyres on it!